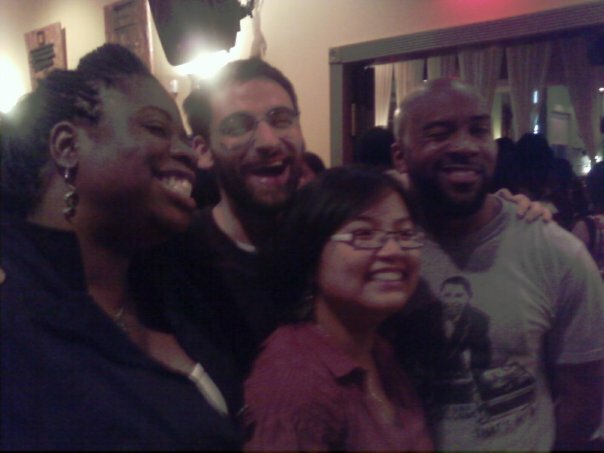 friday night after (barely) making it onto the dc slam team. this is me and my doors closing friends. they are some sick poets that influence me here in the dc area. the slam was sold out again for finals, and of course started late. we got it all in though. more on that later, i just had to stop in quick and give that all important update. i’ll be going to florida for the national slam poetry competition august 4th to the 8th. and we’ll do some shows around here to practice and raise funds before we leave. much love. catch you later. see you at GLU monday night 5:30pm at flashpoint studios. 916 g street, nw, washington, dc.